Our Natural Choice Grade Beef is never given any form of antibiotics or hormones. The animals are allowed to mature slowly for ideal tenderness and marbling. Our Natural beef is raised on a strictly vegetarian diet. They are given only natural feed, such as pasture grass, hay, grains, and legumes, and then finished on a corn based diet. When it comes to quality grades, the main difference lies in the amount of marbling within the meat. Typically, more marbling equals a higher USDA grade. 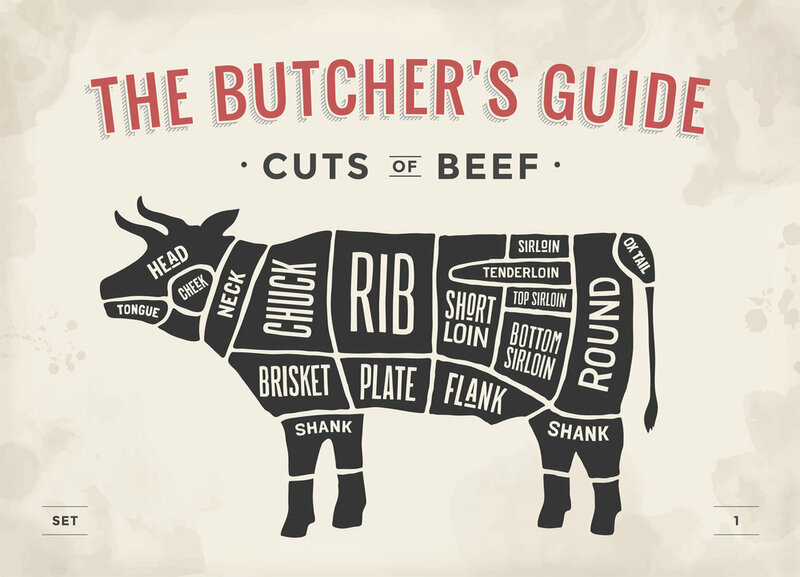 Marbling, or the tiny white flecks scattered throughout the lean red meat, gives beef its great taste and keeps it tender and juicy while cooking. Beef with higher degrees of marbling usually earns a better quality grade. Our Prime beef is (CAB)Certified Angus Beef USDA Prime graded beef. Prime is the best grade given by the USDA, it represents the highest degree of marbling and an elite product. Less than 3% of beef in the US qualifies as USDA Prime, providing a limited supply for consumers to enjoy. Certified Angus Beef brand Prime is a distinction given to beef that meets USDA Prime requirements plus all of the CAB additional standards. Certified Angus Beef Prime is truly elite where less than 1.5% of beef in the US qualifies. 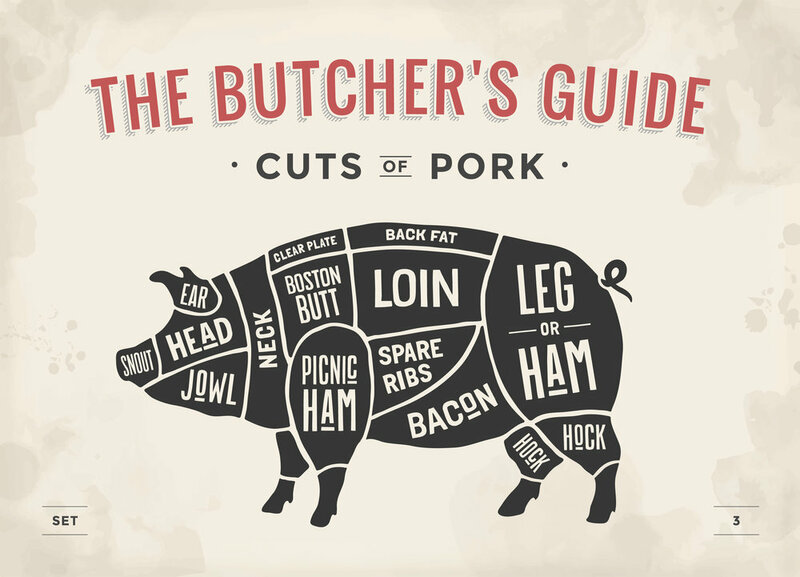 Our Natural Pork is never given antibiotics ever, and has no added growth hormones. It is fed a 100% vegetarian diet. Our Pork undergoes vigorous scoring tests and visual confirmation to make sure standards for color, and marbling are met. Our chicken is never given antibiotics (Some poultry producers say their chickens are antibiotic free, but it only means they were antibiotic free when they’re sold. It doesn’t mean they weren’t given antibiotics sometime during their life cycle). Our chickens are also strictly fed an all vegetarian, organic diet. Our chickens are air chilled which helps retain their own natural juices which makes each bite more tender and full of flavor. No water or chlorine permeates the meat or dilutes the flavor. 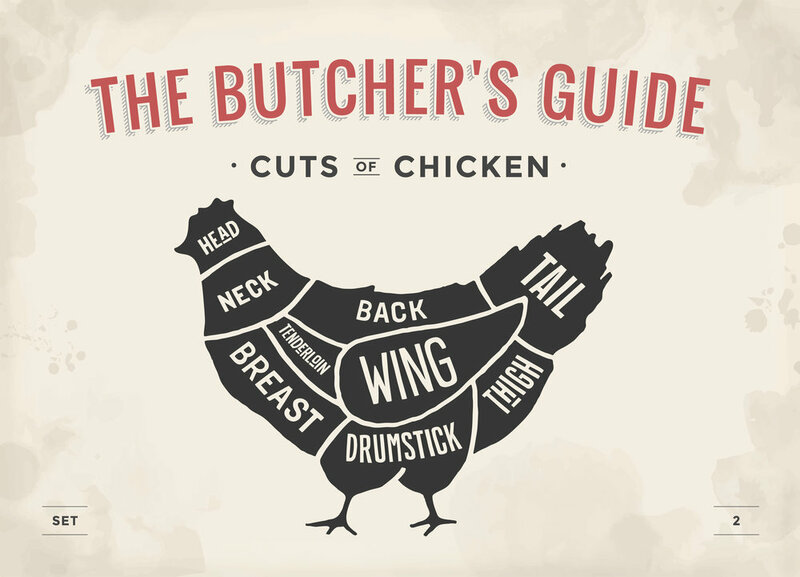 It gives the chicken a cleaner, better appearance, as well as a longer shelf life. Our Fresh American Lamb was born and raised in the U.S. mountains, valleys, and countryside. They graze on a 100% wholesome, vegetarian diet of wild grasses, herbs, and flowers and finished with nutritious grains. The sheep breath fresh clean air, drink spring water and exercise in nature.